Ken Kollman, author of Perils of Centralization discusses why large, sprawling organizations like the Catholic Church will find it an uphill battle to decentralize--even if they wanted to. Pope Francis has indicated in both words and deeds that he wishes to shake up the Vatican old guard. His words have been interpreted as a preference for decentralizing the Church and allowing for more diversity of form and opinion within the ranks. 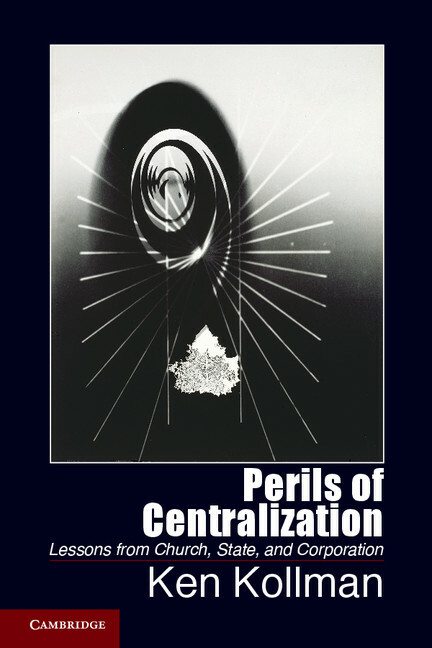 Given what I have discovered in my research on a variety of federated institutions, as presented in my book Perils of Centralization, if Francis wants to decentralize the Church away from complete papal authority, he will not succeed because centralization in the Church is quite entrenched. Any single pope will fail to decentralize unless he is willing to risk a major rupture. Not enough bishops have an interest in decentralization. Some have suggested that Francis prefers a more collegial form of governance for the Church. Collegiality is a special term in Catholicism; it means that the college of bishops governs the Church. The role of the pope is either as head of the college of bishops or as an executive who co-governs with the college of bishops. Collegiality under one interpretation has a “separation of powers” character to it. An executive (pope) co-governs with a representative body (the college of bishops). Yet for the past half century, collegiality went dormant in the Church, as popes like John Paul II and Benedict XVI, interpreted their roles as absolute monarchs, with complete executive, legislative, and judicial final authority. The laws of the Church actually say explicitly that the pope has all final authority. In practice, John Paul II and Benedict behaved consistent with the idea that the bishops owe total fealty, and are to follow the decisions of the pope strictly. Francis has arrived to claim more humility. Few doubt his sincerity. (I do not.) Yet, for the long history of the Church, Roman authority within the global church has been in the institutional interests of bishops in governing their own territories. To remain a bishop within the Church has meant assenting implicitly to the notion that Rome sets standards for liturgical behavior, theological belief, and to a certain extent Church administration. Although they represent their diocese in Rome, they also represent Rome to their diocese. The dual nature of the bishops’ role means that over the centuries, and in recent Church councils, bishops have assented to centralization toward Rome. Within their own sees, bishops are considered supreme and represent Church hierarchy to other clergy and laity who operate within their domains. Under canon law they are like mini-popes, holding all final executive, legislative, and judicial power within their realms. If the Church were ever to decentralize, it may take a crisis that implicates the papacy to such a degree that no large group of bishops saw it as in their collective interests to maintain papal dominance. Decentralization could mean bishops with more autonomy within their realms. For most bishops, however, the successful exercise of their authority within their sees is based on the recognition of Rome as the final administrative authority on all religious matters within the Church. In a council or synod, the bishops collectively become the hierarchy of the Church, and they take on a role of pursuing uniform doctrine for Catholics everywhere to adopt and follow. These councils have had numerous opportunities to keep Rome weak and to create a mostly decentralized Church but these were never the lasting results of such councils. That said, why would the bishops collectively pass on a co-governance model? Consider the current crop of bishops who would form the other side of a co-governing unit. The previous two popes filled the ranks of bishops with conservatives with little interest in decentralization, and with little interest in risking changes in Church doctrine. Enough bishops have their local prestige dependent on strong papal rule and prefer a strong papacy to a more democratic, parliamentary-style governance by councils of bishops. The monarchical model serves them well in their own realms. A bishop’s authority is linked directly to papal authority based on a monarchical model. Any move to weaken the pope relative to the bishops, even by this new, popular pope, might be interpreted as weakening their own authority within their realms. Such a move would instigate a major internal conflict within the Church. The Church is like the other federated institutions I have studied—governments, organizations, and companies—that have centralized to strong executive power over time in similar ways. Subunits (like states, dioceses, company units) lose their voice in decision-making over time. Federated institutions get “trapped” into executive centralization. If the Church were ever to decentralize, it may take a crisis that implicates the papacy to such a degree that no large group of bishops saw it as in their collective interests to maintain papal dominance. This will not happen any time soon.